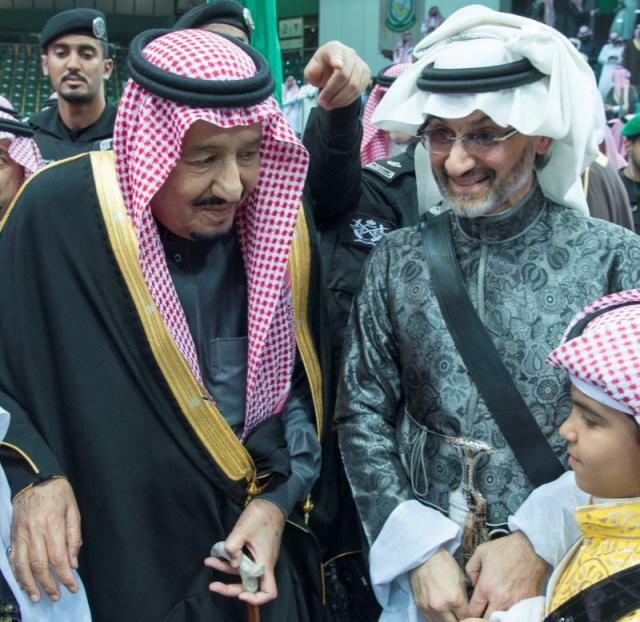 Saudi Arabian billionaire Prince Alwaleed bin Talal, who was detained for three months in an anti-corruption campaign under Crown Prince Mohammed bin Salman, pledged support on Thursday for the young leader’s program of sweeping reforms. “I was honoured to meet with my brother HRH the Crown Prince and to discuss economic matters and the private sector’s future & role in #Vision2030 success,” he tweeted with a photograph of the royal cousins embracing in front of a desk. It is the first publicly disclosed meeting between the two men since the anti-corruption crackdown was launched in November. “I shall be one of the biggest supporters of the Vision through @Kingdom_KHC & all its affiliates,” Prince Alwaleed added, referring to his international investment company. Vision 2030 is Prince Mohammed’s scheme to wean the world’s top crude exporter off oil revenues and open up Saudis’ cloistered lifestyles. The corruption sweep alarmed the Saudi business community as well as international investors the kingdom is courting to support the reforms. Prince Alwaleed, the kingdom’s most recognized business figure, was freed in January after being held at Riyadh’s Ritz-Carlton Hotel along with scores of royals, senior officials and businessmen, most of whom reached financial settlements with the authorities. He said in March he had cut a deal but declined to disclose the details. He said he was in discussions with the Public Investment Fund, the sovereign wealth fund chaired by the crown prince, about making joint investments inside the kingdom. He previously told Reuters that he was innocent and expected to keep full control of his firm. In the absence of more information, speculation has run rampant about whether Prince Alwaleed secured his freedom by forfeiting part of his fortune - once estimated by Forbes magazine at $17 billion - or stood up to authorities and won.